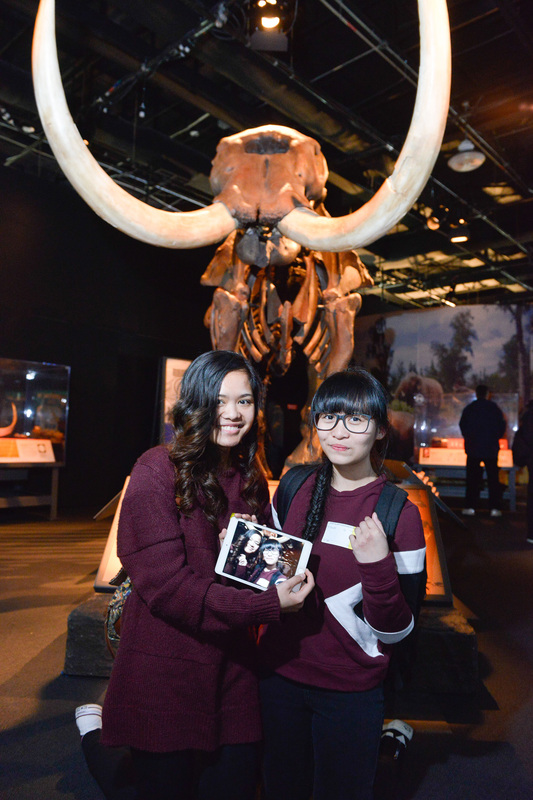 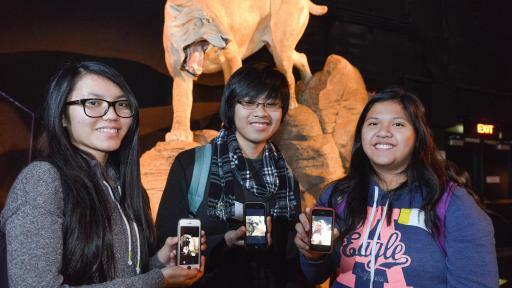 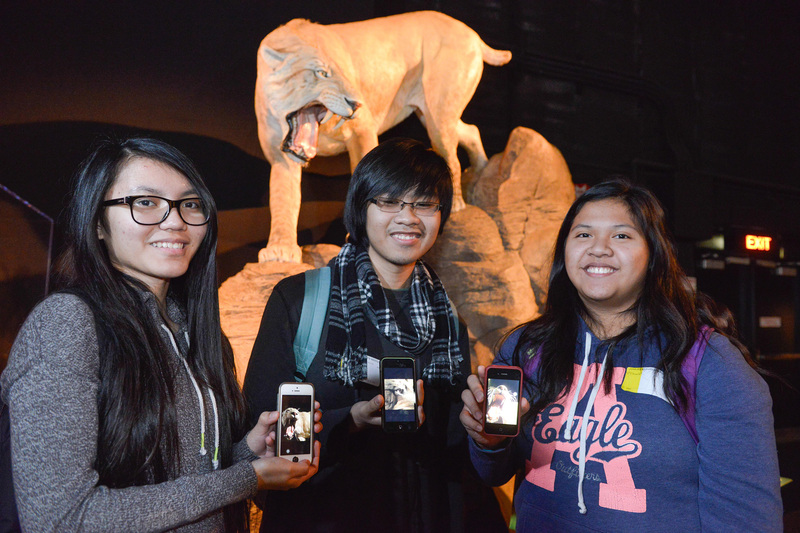 Piece together the past to change the future at the Ontario Science Centre’s new exhibition Mammoths and Mastodons: Titans of the Ice Age. 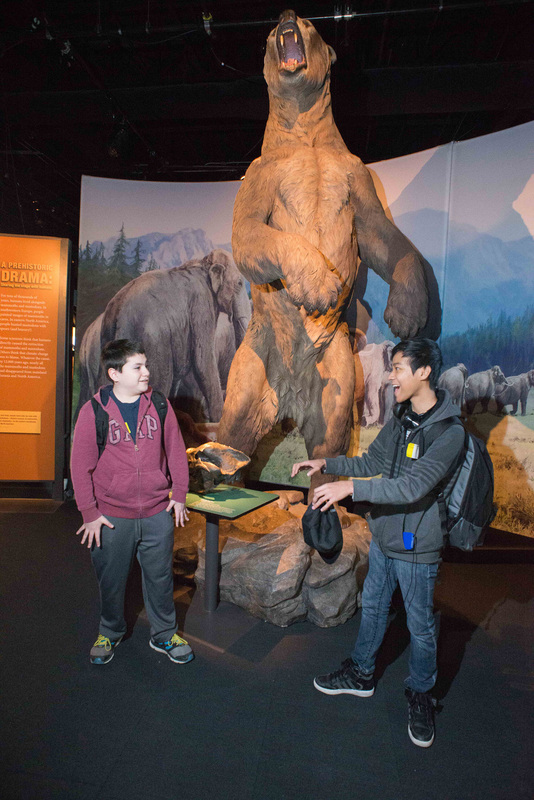 Through exciting hands-on displays, including fossils and life-sized replicas, learn how researchers use cutting-edge science and technology to excavate and analyze tusks, teeth, skin, hair and stomach contents to learn more about mammoths and mastodons, mighty creatures who roamed the northern hemisphere during the last Ice Age. 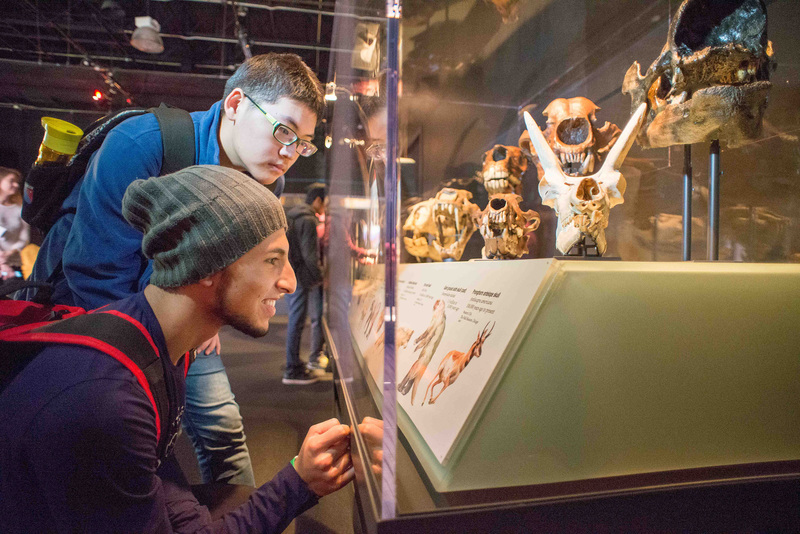 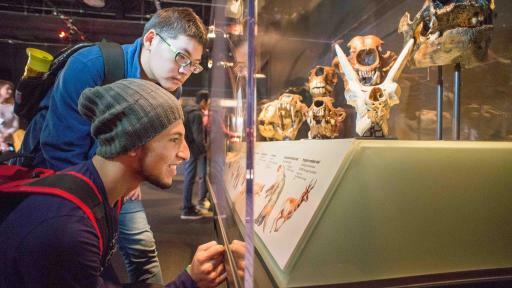 Put yourself in a scientist’s shoes to uncover and connect the scientific factors that contributed to the evolution and extinction of these amazing creatures. Discover what today’s elephants reveal about mammoths and mastodons and what must be done to prevent modern elephants from extinction. 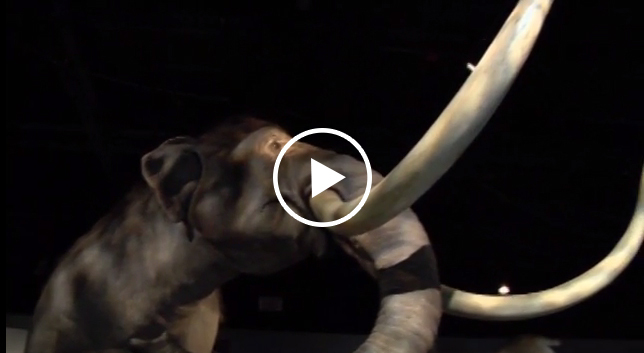 Meet the Columbian mammoth, who stood a whopping 14 feet tall, and see just how much food it consumed in a day. 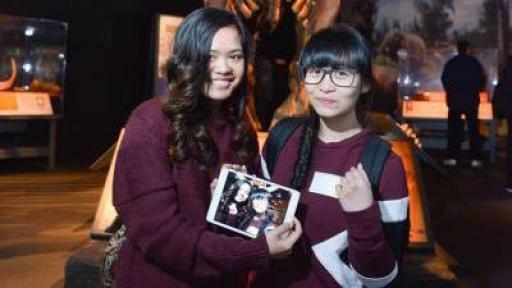 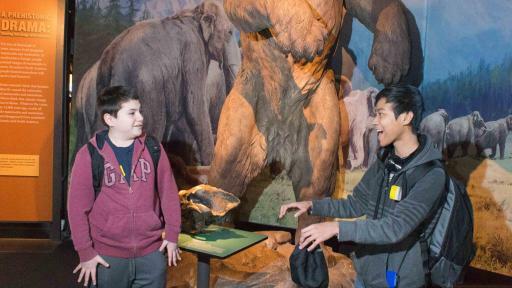 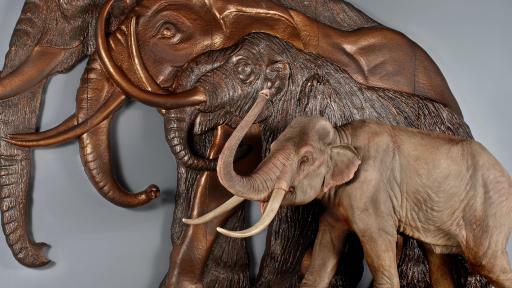 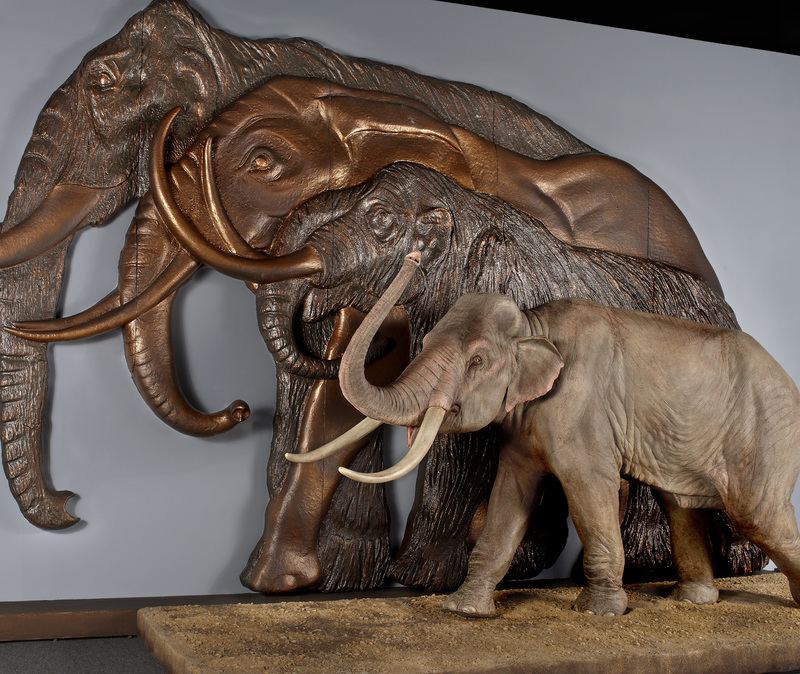 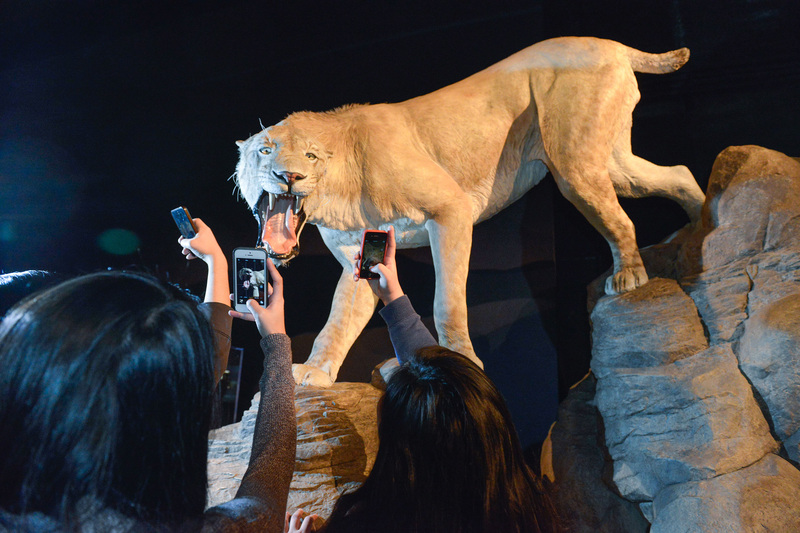 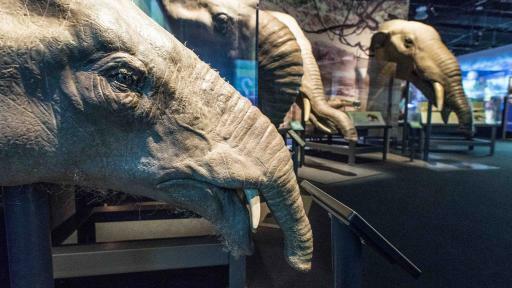 The exhibition features a woolly mammoth family in motion and recreations of short-faced bears and sabre-toothed cats as well as American mastodon skeletons. 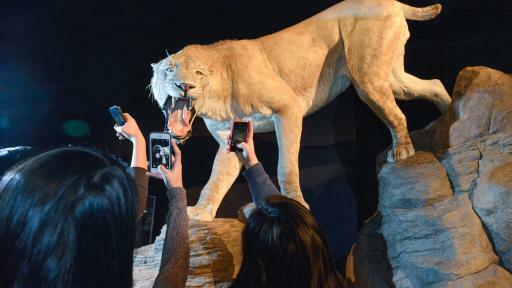 See camel and dire wolf skulls up close as well as displays of Paleolithic cave art, including mammoth ivory figurines. 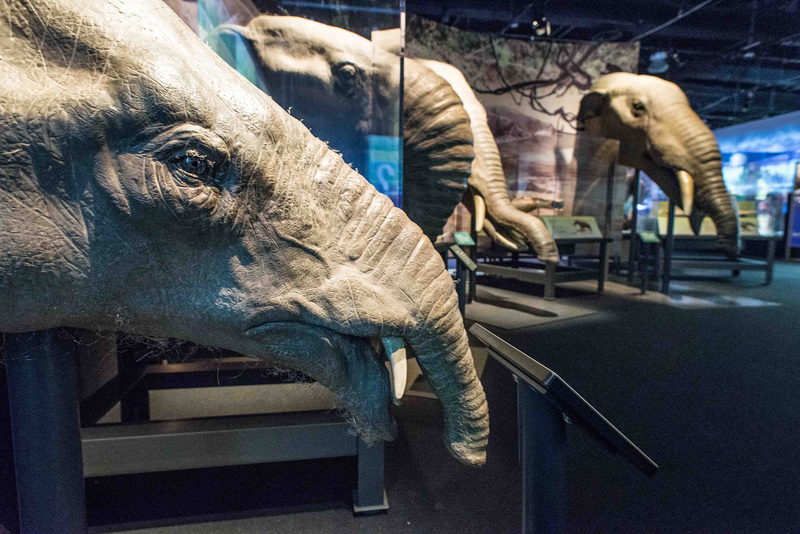 Experience what life with a trunk would be like in an interactive display that challenges visitors to reach and clasp with robotic trunks. 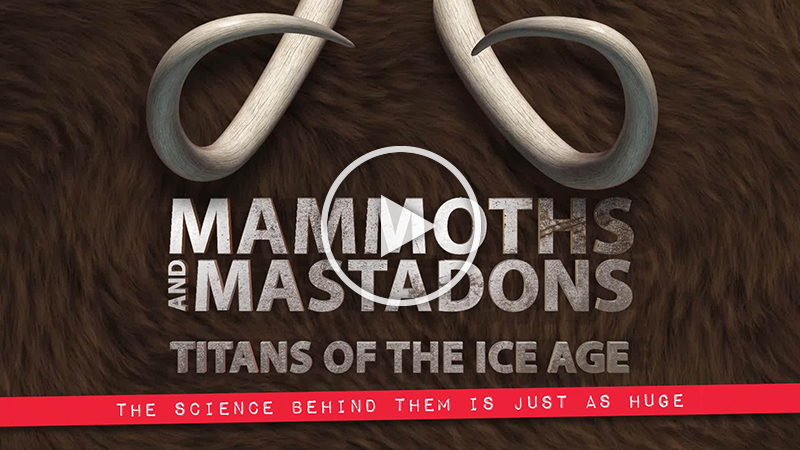 Think critically about the questions you would ask, the discoveries you could make and the science behind the evolution and extinction of magnificent mammals like mammoths and mastodons.